Professor Brian O’Connell (VC and Rector, UWC) completed a BA degree and a University Education Diploma from UNISA and UWC. He then obtained a BA (Hons) in History from UNISA (with distinction), an MA and MEd Degrees from Columbia University in New York. O’Connell started teaching at Florida High School in Ravensmead in 1970 until 1977, when he left to take up the post of vice-principal at Belhar Senior Secondary School. Professor John Field (Director Ma-Re Institute, UCT) is an ACCESS stalwart and is well known to the ACCESS Scientific community. Editorial Board, Marine Ecology Progress Series, Hamburg, Germany. 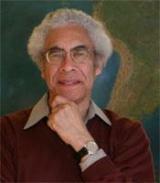 Professor George Philander hails from Cape Town South Africa and is currently a professor of Geosciences at Princeton University.